Vine Maple Place assists families in crisis by helping single parents and their children build lives of hope, stability, and greater economic self-sufficiency. We provide direct support services, which include financial literacy training, employment and livable-wage development, housing case management, counseling and life skills development, and child and youth services. We became an independent 501(c)(3) nonprofit charity to serve homeless children and their families in the year 2000 after several Maple Valley churches contributed to the purchase of eight apartments to use as transitional housing. 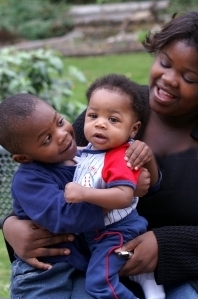 In 2012 we expanded our programs to include offering direct services to single-parent families who are not currently homeless, but in imminent danger of losing their housing. Our main service area includes the communities of Maple Valley, Black Diamond, Covington, and connecting parts of Kent, Renton and Auburn.